A glass drink bottle that will deliver a clean, pure taste every time. Enjoy the crisp, clean taste of water from a premium glass bottle. These bottles will change the way you think about water and are guaranteed to help keep you hydrated and healthy. 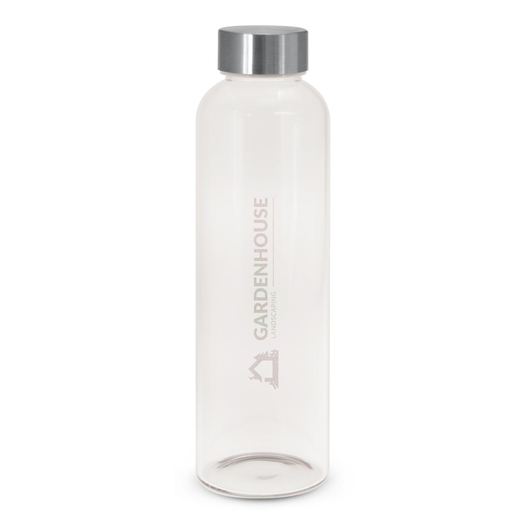 These bottles have a capacity of 600mL and are made from borosilicate glass and feature a secure screw on stainless steel lid that can also be laser engraved. Borosilicate is a lightweight glass that is not only shatter resistant but exceptionally strong too.